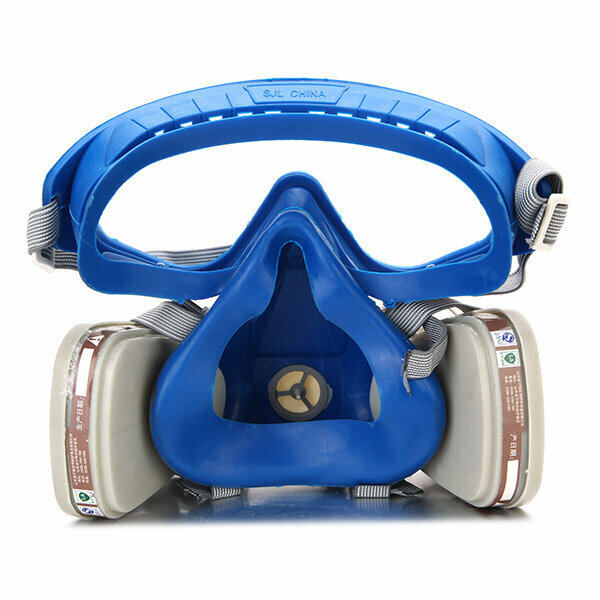 The main mask and goggles integration design, antivirus prevent splash PC lens bending resistant to 360 degrees. Light and comfortable, no stimulation. 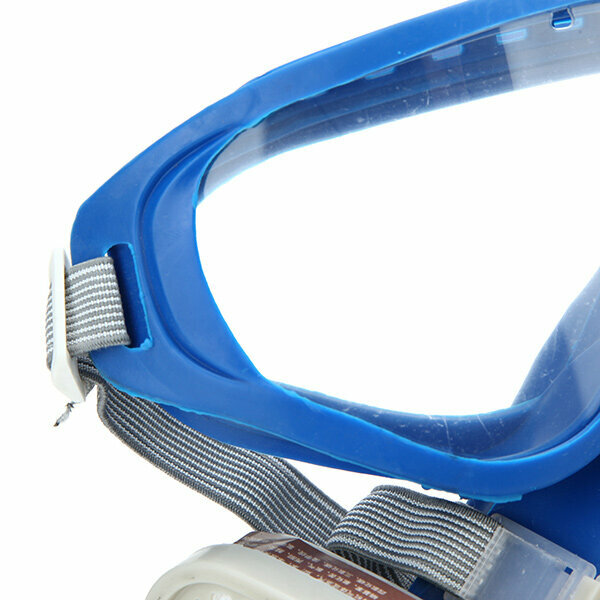 The surface body can be clean, replaceable filter box. 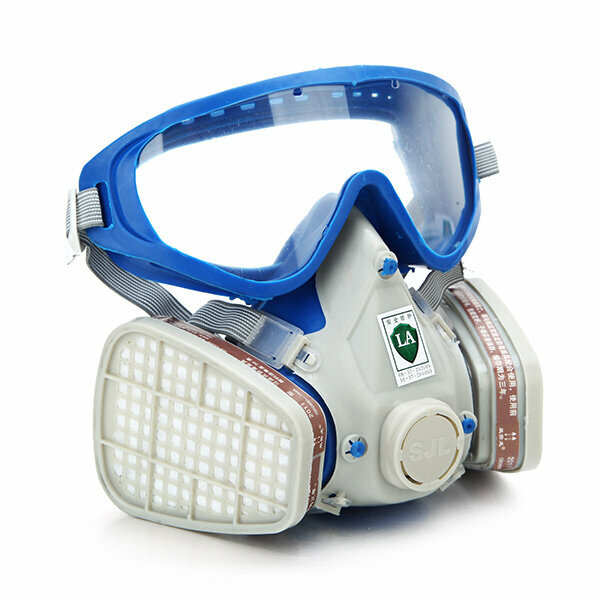 Special processing activated carbon, the protective effect is better, protective time longer. 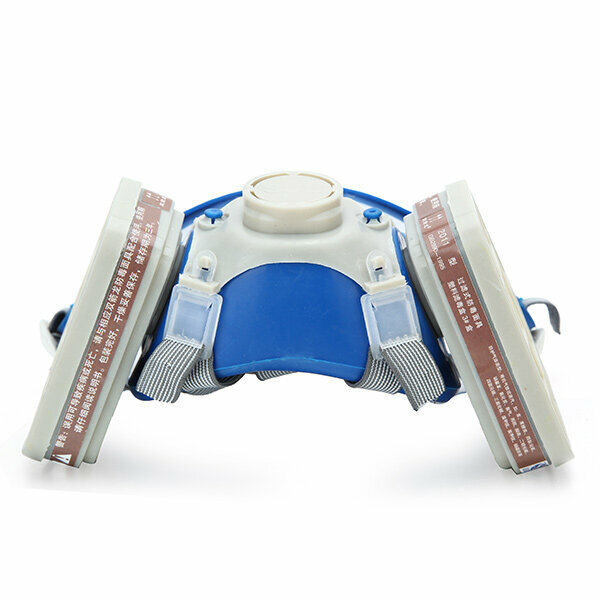 Trapezoidal filter boxes, center of gravity back, reduce neck fatigue. Function: can prevent various organic gases, such as formaldehyde, gasoline, ether, suitable for spray paint, oil, machinery, polishing, dust and other workplaces. 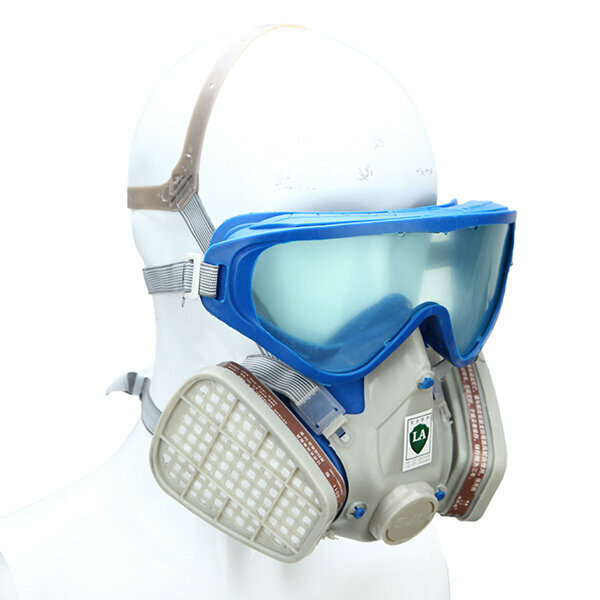 Applicable environment: coal, graphite, charcoal, asbestos, talc, cement, lead smoke, smoke dust, cotton metal, casting, chemical packaging, paint spraying and other kinds of dust and gas, viruses, bacteria can be isolated and adsorption.